This entry was posted in how to, knitting and tagged baby hat, free knitting pattern, free pattern, hat for 3 months old, newborn hat, pixie hat, pixie hat pattern, pixie point. Bookmark the permalink. None of my grandchildren escaped the pixie hat! How I wish I had a baby to knit for – this is so cute! How adorable that would look on a little head. My daughter’s freind is expecting a baby in April, so maybe it will have a home soon. Certainly needs grey! 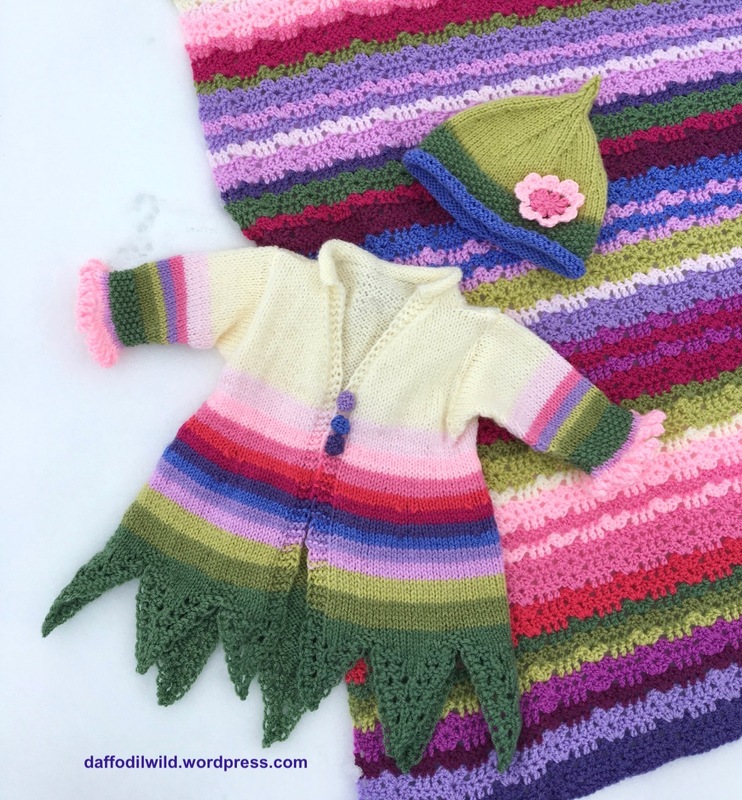 This is super cute, roll on another baby for me to knit for…( Unlikely before you ask). I hope I’m never asked to make something in grey – you did so well! It hasn’t found a home yet – but I’m sure one of my children’s friends is sure to have a baby girl soon. HaHa! Yes, grey does seem very popular – and the hat would be great in just one colour as well. I have multitudinous scraps of Stylecraft Special DK, needles and two great nieces on the way so thank-you for this cute pattern. How wonderful! Let me know how you get on.